When we booked our trip to Hawaii, the one thing I wanted to purchase was a long white maxi dress. One that was casual enough for the beach, but that I could easily wear to dinner and I found exactly that in this dress. Plus it has an open back, which, of course, I’m obsessed with. It was a perfect addition to my honeymoon wardrobe. Another perfect addition to my honeymoon wardrobe was this Linell Ellis Nikki Ratan Clutch. 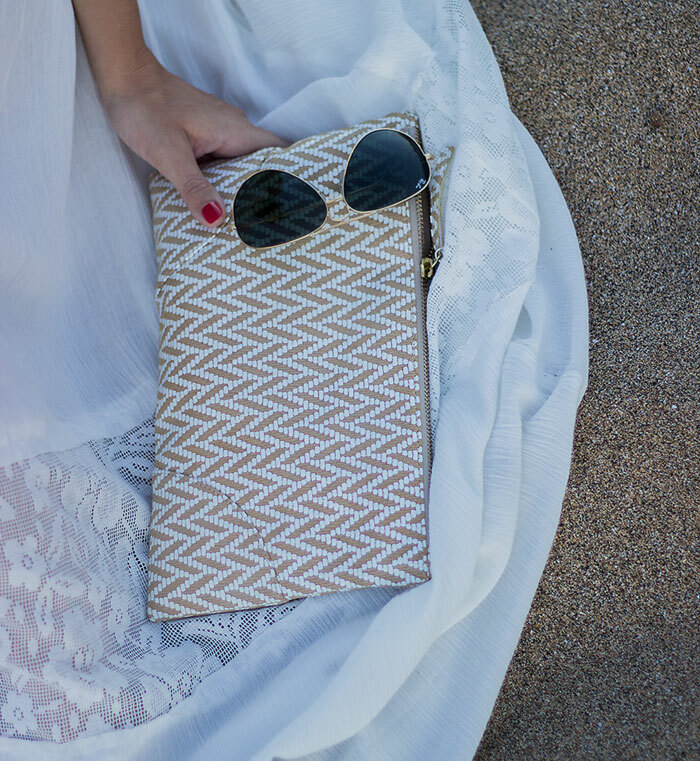 The second I saw the clutch I just thought the natural look/feel of it would look perfect against a Hawaii backdrop, which it 100% does, but this clutch is so good for everything and anything. It is a great piece to add some interest to a casual jeans and tee outfit, but can most definitely be dressed up for an evening out. I don’t own a ton of clutches, but this one, I’m slightly obsessed with. Linell Ellis is offering 20% off your purchase with code CANDQ20!